Starting in 1995, after his honorable discharge from service in the United States Army, Charles (“Chuck”) Ramsay founded Ramsay Law Firm . . . and has been practicing criminal defense ever since. Chuck has built a nation-wide reputation as the “go-to” guy for defending DWI cases, and along the way gained acquittals in every type of case imaginable (and in non-DWI cases, up to and including First Degree Murder). While he still handles the occasional non-DWI case, Chuck’s passion rests in defending anyone charged with a DWI. A well-known trial attorney, Chuck has brought more DWI cases to trial than most defense attorneys have even taken on. And his passion extends beyond trial; Chuck has appeared before the Minnesota Court of Appeals and the Supreme Court in approximately 75 cases. 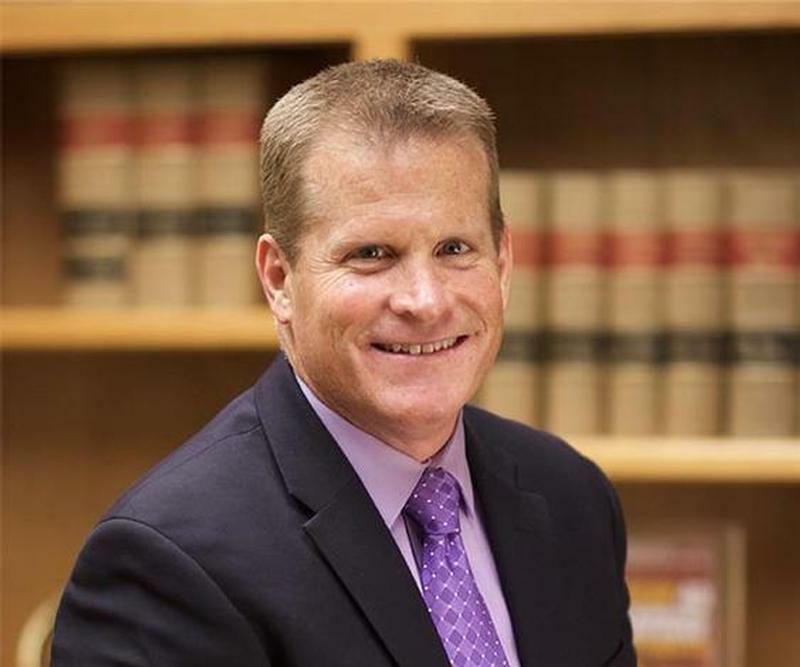 Chuck’s focus on DWI defense was no accident – he dedicated his career to defending DWI cases because it’s the type of case he loves and the type of people he wants to help. This is partly due to the ever-changing nature of DWI defense; constitutional challenges can be raised in most cases, and the scientific basis for breath, blood, and urine tests provide endless opportunities to win cases for his clients. When Chuck decided to focus his practice on DWI defense, he started by crafting the motto “Every DWI Case Is Winnable,” and then set out to prove himself right. And over the last two decades, thousands of Chuck’s prior clients have ended their cases by saying “Thank you, Chuck” because of the energy and effort he always puts into proving his motto is the only way to treat a DWI charge. Chuck is on the top of any “who’s who” list of defense attorneys in Minnesota, and for many good reasons. He pioneered number of defenses in Minnesota, including now-established challenges to faulty eyewitness identification, false confessions, and the right of a defendant to present alternative suspects to a jury. Chuck was also the driving force behind challenges to Minnesota’s old breath test machine (the Intoxilyer 5000EN) and even went to federal court to force the manufacturer to release their software’s source code. Chuck’s efforts as a member of the Source Code Trial Team and his personal efforts in federal court finally led Minnesota to abandon the Intoxilyzer entirely and admit that their machine erroneously treated valid breath samples as “refusals” due to errors in the source code. If you scroll down, you’ll see a select list of Chuck’s almost-too-numerous-to-count awards and credentials. That list isn’t there to impress you; it’s there to prove to you just how passionate Chuck really is about defending DWI cases. Any attorney can claim they want to help someone charged with a DWI . . . but Chuck is one of the only attorneys in Minnesota to graduate from the prestigious Robert F. Borkenstein Course on Alcohol and Highway Safety at the University of Indiana (a course for prosecutors and law enforcement agents that no longer even permits defense attorneys to attend). Any attorney can claim they understand DWI defense . . . but Chuck is currently the only Minnesota attorney who is actively a faculty member for the National College of DUI Defense (NCDD), presenting cutting edge DWI defense strategies to a nationwide audience of defense attorneys. Any attorney can claim that they are willing to give their best effort when they represent you . . . but Chuck is the only attorney in Minnesota to have earned the American Chemical Society “Forensic Lawyer-Scientist” designation (ACS-CHAL), meaning that when Chuck is in a courtroom, he understands how a breath, blood, or urine test works better than anyone else in the area. And that includes the State’s own expert witnesses. From forcing the State of Minnesota to stop using their old Intoxilyzer breath test machine, to forcing the State of Minnesota to start reporting how inaccurate their new DataMaster breath test machine is, Chuck’s passion for DWI defense is how he was able to build the successful firm that he did, and why his clients get the results that they do. Bachelor of Arts, University of Wisonsin, Madison, WI. Juris Doctor, William Mitchell College of Law, St. Paul, MN. D.A.B. v. Comm'r of Pub. Safety, Dakota County District Court, 2016. Chuck convinced the judge to throw out a 0.08 breath alcohol test because of problems with the "bias" of the machine used to test the breath sample. This resulted in the return of his client's driver's license. C.B.S. v. Comm'r of Pub. Safety, Itasca County District Court, 2016. Chuck convinced the judge to throw out a 0.15 blood alcohol test because it was taken just over 2 hours after driving. By knowing the scientific principles of "retrograde extrapolation" better than the State's own expert witness, Chuck kept this blood test away from the eyes of the jury and his client's charges were dismissed. K.M.M. v. Comm'r of Pub. Safety, Dakota County District Court, 2016. Chuck convinced the judge to throw out an alleged violation of the Ignition Interlock program after highlighting the numerous problems and false positive tests that were being produced by the ignition interlock device. 2016 Second selection as "Attorney of the Year" as recognized by Minnesota Lawyer. As this was Chuck's second selection as Attorney of the Year, he is also now included in the "Circle of Excellence." Founding Member, DUI Defense Lawyers Association (DUIDLA), a non-profit, nationwide bar association dedicated to improving the trial and advocacy skills of defense attorneys who focus on alcohol and drug related driving offenses. Faculty, National College for DUI Defense (NCDD, a professional, non-profit corporation dedicated to the improvement of the criminal defense bar, and to the dissemination of information to the public about DUI Defense Law as an area of law practice. Member, Minnesota Society for Criminal Justice (MSCJ), an exclusive invite-only college of approximately 50 Minnesota defense attorneys, gathered together to "promote justice by supporting changes in the law - both legislatively and through litigation in the courts." National College for DUI Defense, 2015. Science as Your Best Defense II: Learning to Teach Judges and Juries the Science and Law of Blood and Breath Alcohol Testing. Iowa Association of Justice - Criminal Defense & Family Law Trial Lawyers Conference, 2018. Blood and Breath Testing Part II. Indiana Continuing Legal Education Forum, 2018. Using Metrology to Expose the Scientific Limitations of Chemical Testing.